At ARI, we have always been mindful of the needs of those on the autism spectrum and their family members. Their support over the past five decades has magnified our focus on advancing an ambitious research agenda while reporting on the latest science-based information for people of all ages on the spectrum. While the causes of ASD remain unclear, recent scientific advances challenge the traditional view of autism as an untreatable disease—as one that is genetically hardwired. ese developments support the position that ARI has always maintained: autism is treatable. ARI continues to pioneer research, outreach, and cooperative efforts with other organizations worldwide. We awarded more than $200,000 in grants to fund exciting and innovative research that holds realistic promise in impacting the lives of those on the autism spectrum. We sponsor forums, such as our national and regional think tanks and an online discussion group, to engage scientists and practitioners in in-depth dialogues about current and upcoming research. In these settings, scientists have an opportunity to share their thoughts and findings directly with medical doctors and nutritionists. In addition, these researchers appreciate receiving practical input from experienced practitioners who often provide further insight about autism. We provide researchers with advice and guidance on how to optimize their experimental designs. We also help them recruit participants for their studies. Laboratory Repository at Massachusetts General Hospital in Boston. 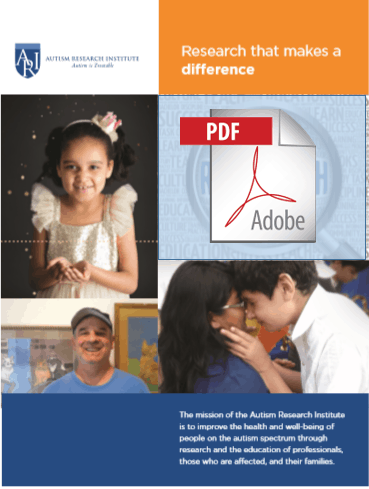 We continue to publish our quarterly science newsletter, Autism Research Review International (ARRI), where we report on current medical, sensory, and educational research. ARI informs the medical community about best practice treatments. ARI offers, in joint providership with the Cleveland Clinic, complimentary AMA PRA Category1 Credit™ to physicians and the general public. Connecting physicians to improved standards of care is crucial to amplifying understanding of the medical nature of the disorder. ARI has an active online presence. 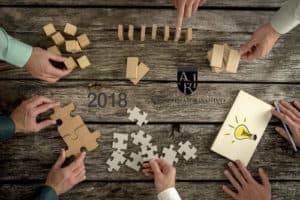 ARI maintains a popular website, www.autism.com, consisting of relevant information as well as diagnostic and assessment tools for all members of the autism community. ARI publishes a bimonthly e-newsletter, Clinical Research in Autism, for obstetricians, pediatricians, and nurses who want to keep current with research relevant to their practice. Center for Child Health and Development. e topics include research updates, diet, nutrition, ABA, assessment, educational therapies, adult issues, and much more. Our YouTube channel offers free access to experts with up-to-date webcasts on medical support and educational videos, social stories, and talks from past conferences. Users have tuned in for more than 400,000 viewings. ARI offers personal support to parents and professionals. ARI sponsors a telephone support line for parents and care providers seeking information. We provide an opportunity for viewers of our live webinars to ask questions directly to the presenters. We moderate internet discussion groups for parents. ARI embraces a global autism community. ARI is an NGO (non-governmental organization) of the United Nations. ARI continues to translate many of our key articles, as well as our Autism Treatment Evaluation Checklist (ATEC), into different languages. Now available in 20 languages, ARI’s ATEC is completed by over 150 users per day. We work directly with network groups and clinicians worldwide, especially in regions where awareness and support are still in their infancy, such as Eastern Europe and South America.